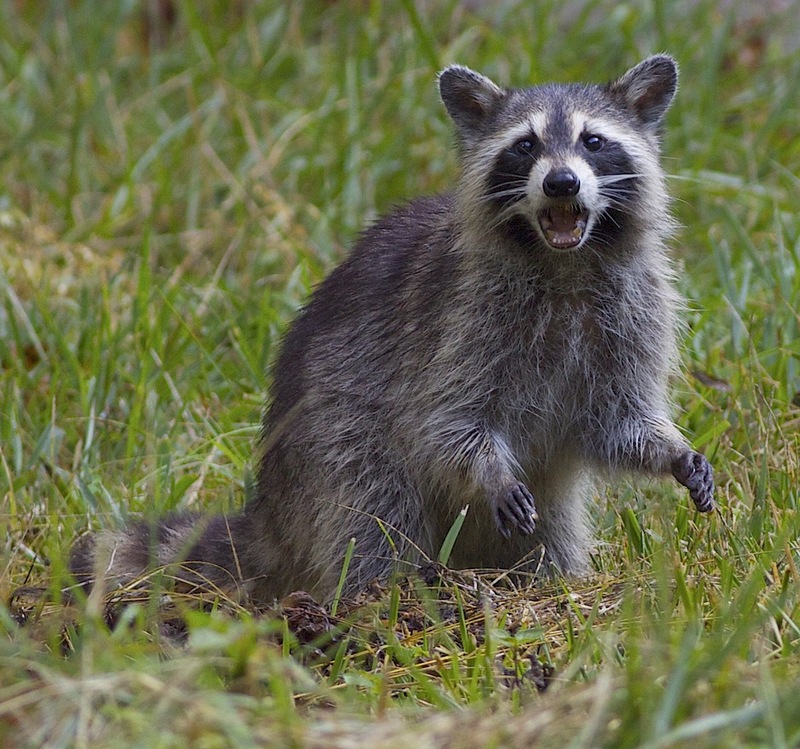 ……………… but she is only a mother raccoon. Click to enlarge. 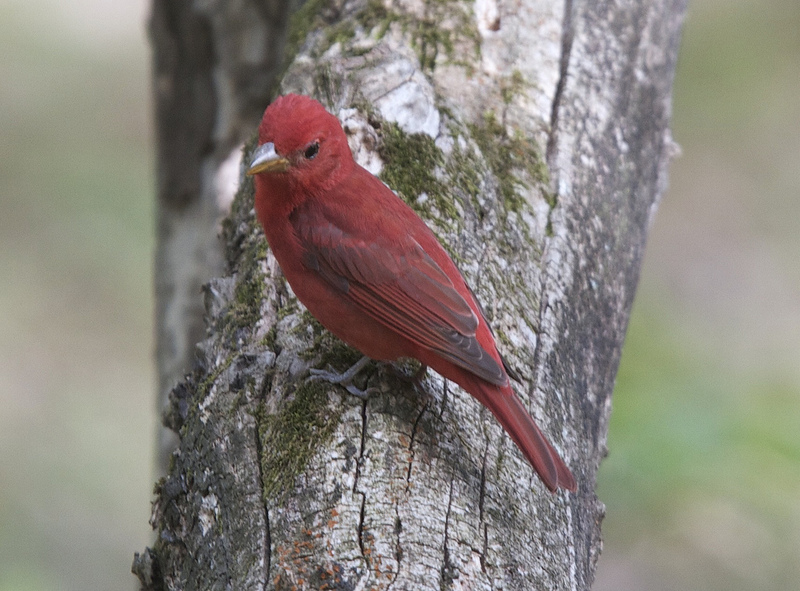 Two of the most beautiful and showy birds in these mountains are the Summer Tanager and the Scarlet Tanager. Both are moderately common through the breeding months (late April through early August). A Summer Tanager was my morning alarm clock in late May through June. 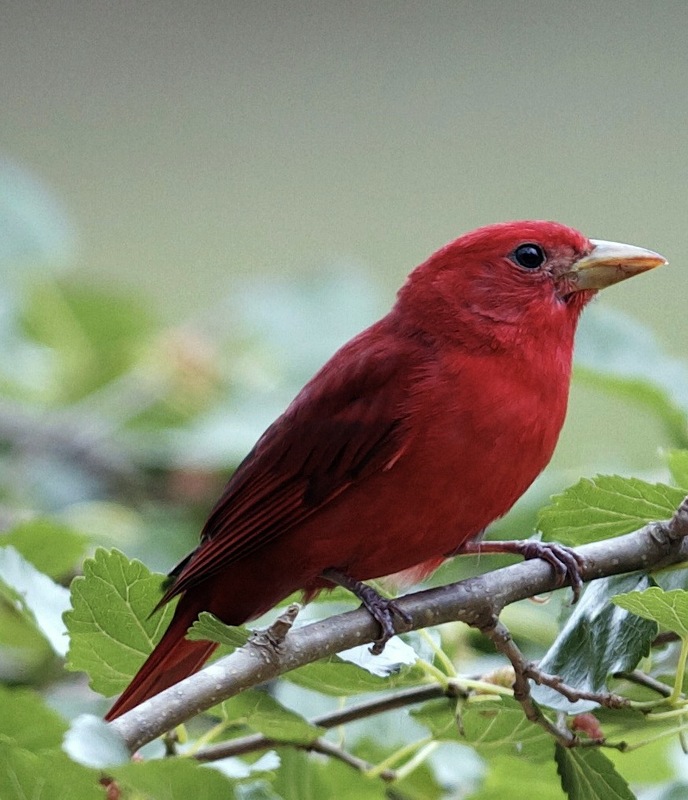 They are both red in color; the Summer Tanager is more a rose colored red and the Scarlet Tanager is bright scarlet red; with black wing and tail feathers. 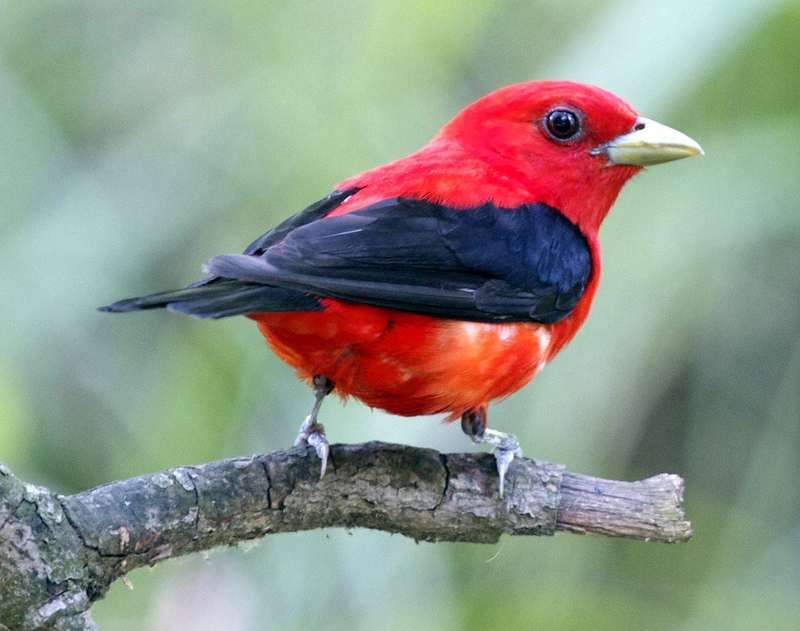 The Scarlet Tanager requires a much larger breeding territory (100+ acres) than the Summer Tanager (5 acres); so, there a fewer of them in a given area. Both species are great songsters and usually announce their arrival to feeding and watering locations. 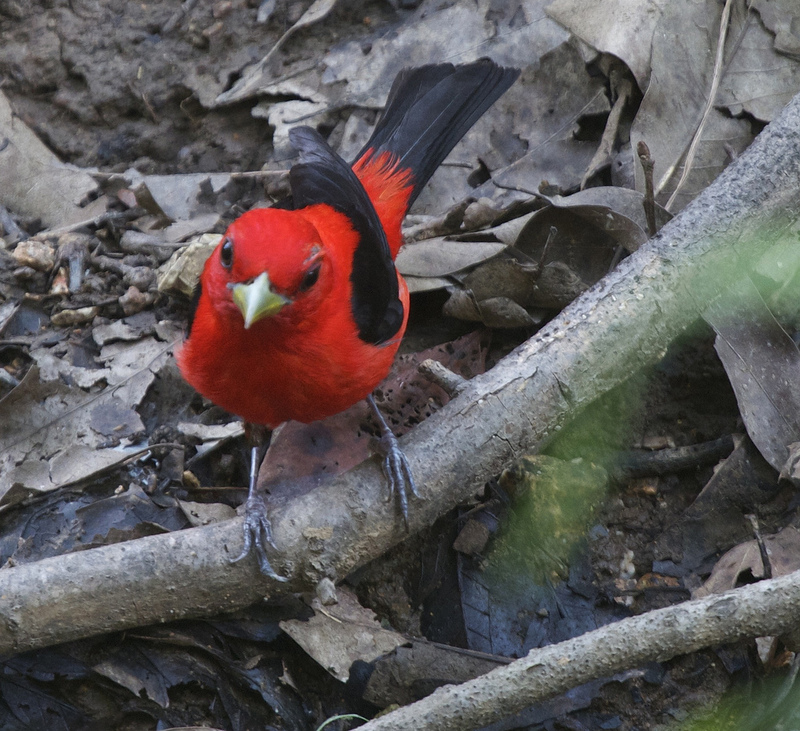 Both tanagers are difficult to photograph because the inhabit the tree canopy. These pictures taken with a Canon 7D using a Canon EF600 f/4 L IS lens. 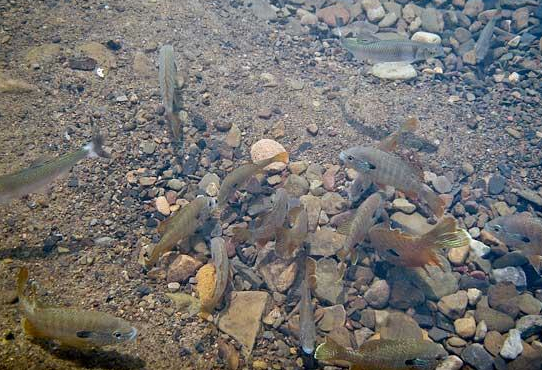 The Little Buffalo is a pretty, intimate, and sometimes intermittent smallmouth bass stream. I love to fly-fish the fast water early and late in the day. 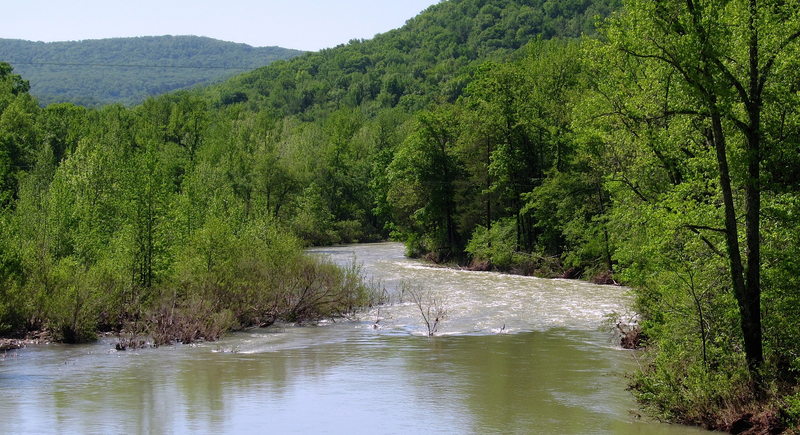 In the springtime the river is sizable and fast and very hard to fish. There are large quantities of food; crawfish, hellgrammites, minnows of all kinds, stoneflies, mayflies, and hoppers. 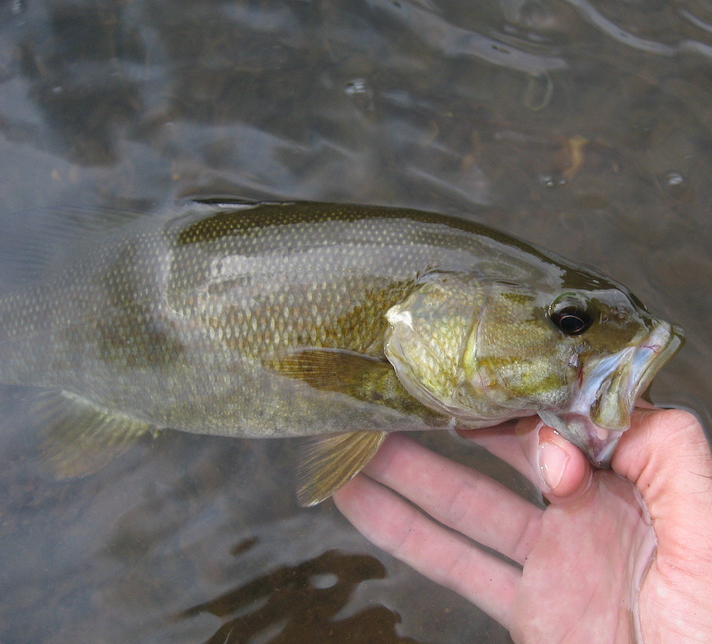 The bass are active early and late most days. 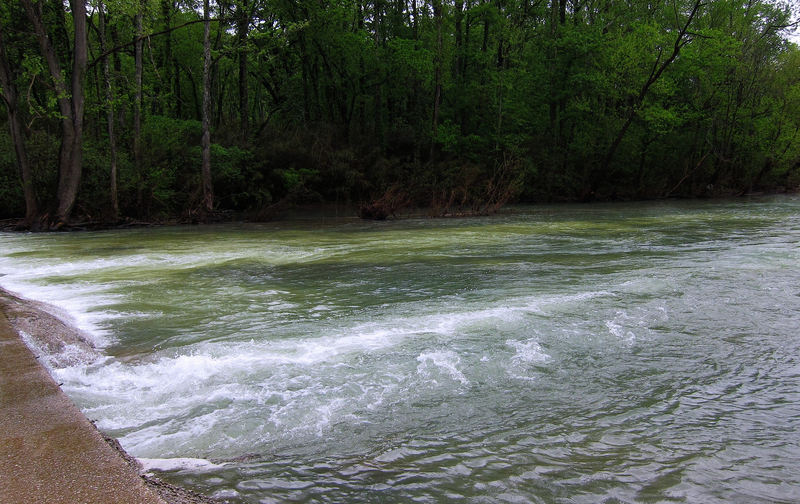 The experience of wading in the cool water and taking in the scenery is relaxing. The water is surprisingly cold. It flows underground in may locations where is cools to about 65 degrees before reemerging in a pool. Below are a few pictures of the Little Buffalo in early May, June, and August. You may click to enlarge. 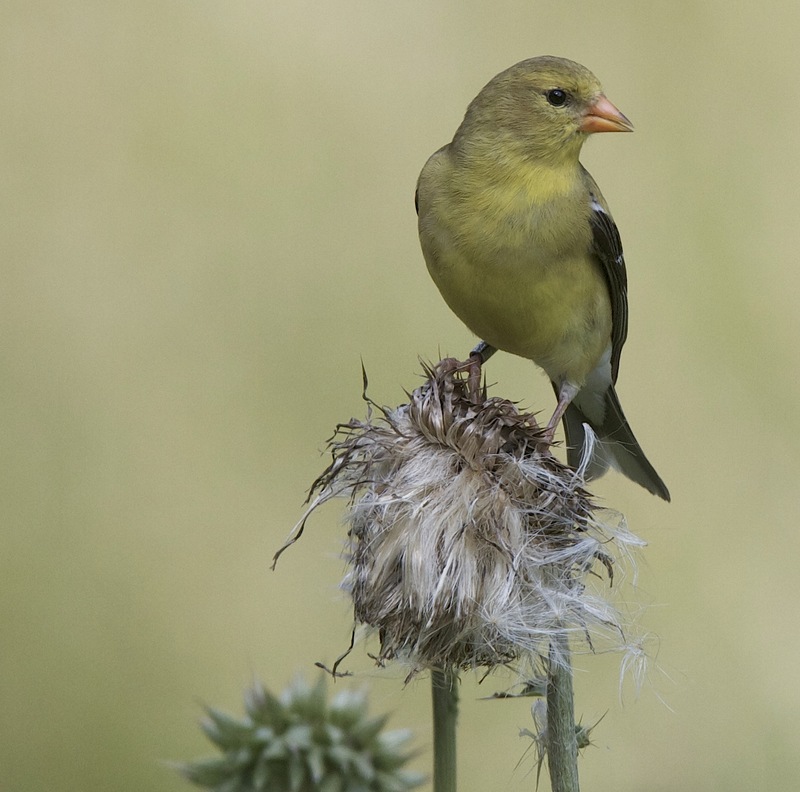 This female American Goldfinch was feeding on the seeds of a “gone to seed” thistle plant. A common summer sight along Boston Mountain roads. 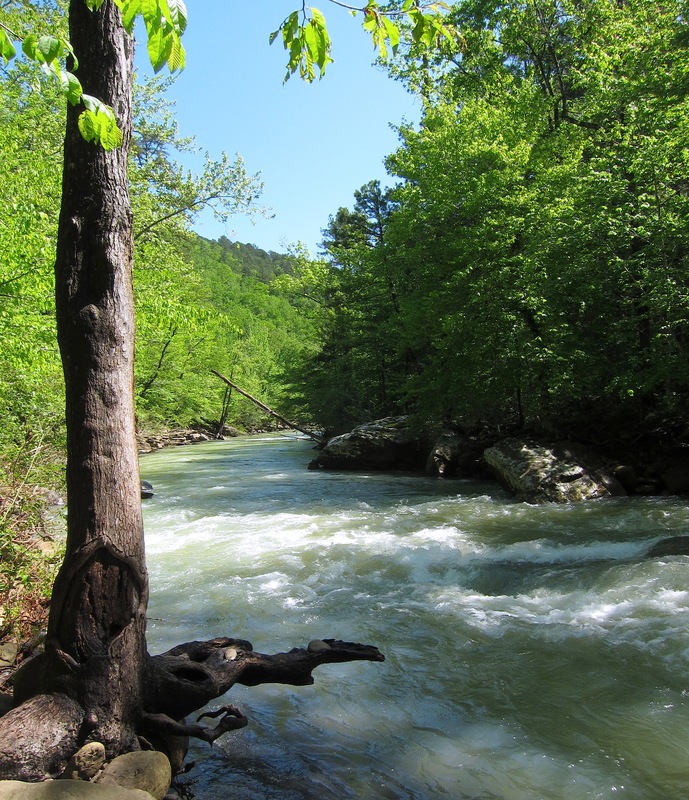 A short hike onto the side of Kilgore Mountain opens up a view of a tall bluff on the Buffalo River in the Ponca Wilderness Area. The bluff in view is probably 250 feet tall. 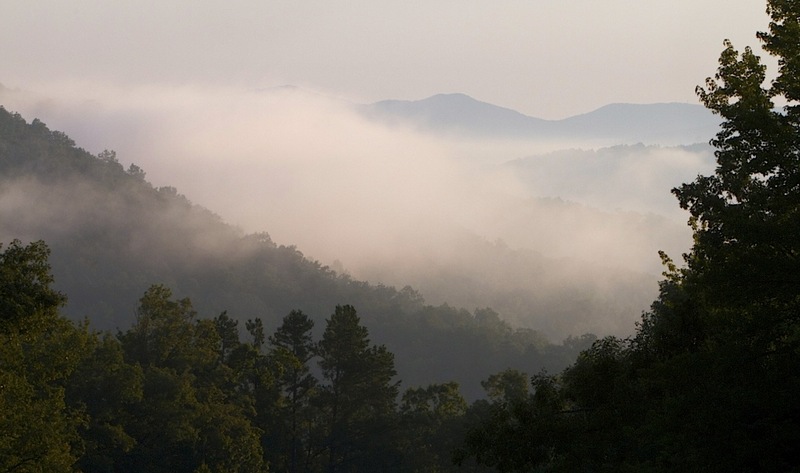 The mountain ridges run up another 1550 feet from the bluff top to the north summit of Kilgore Mountain. 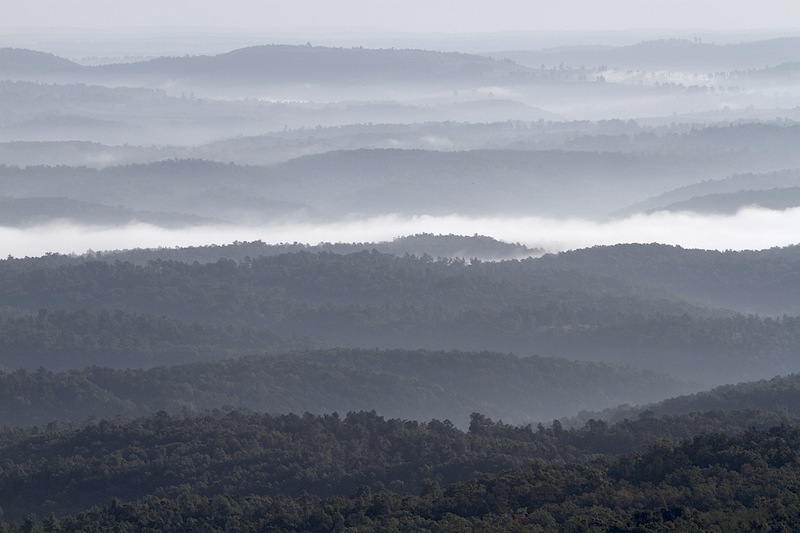 These are photos of the mountain and river valley fog in the heart of the Boston Mountains. 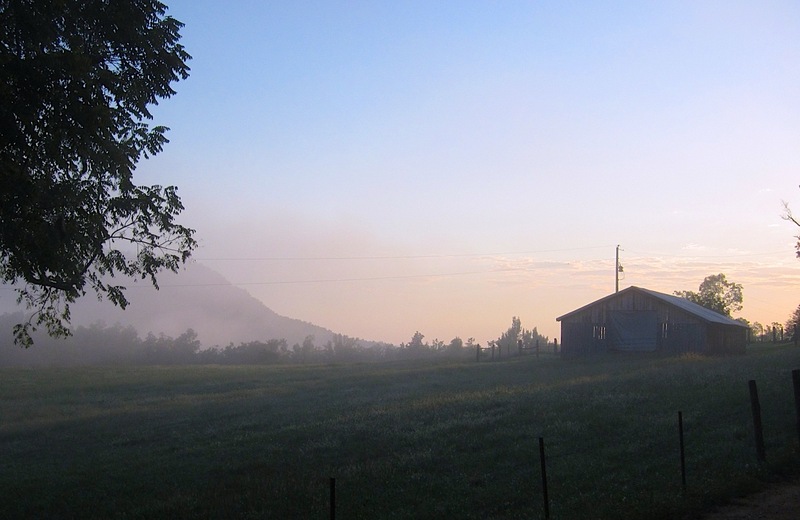 It was 60F at 7:00 AM this morning with a very heavy dew but only a bit of patchy fog. 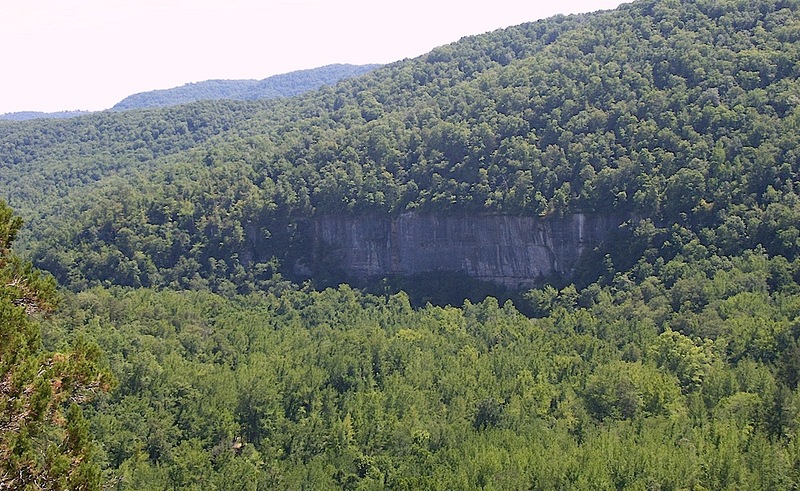 Photo are from Murray Valley Road, 327 going into Parthenon, and Highway 7 south of Jasper looking towards the Buffalo River and over the Big Creek Valley. 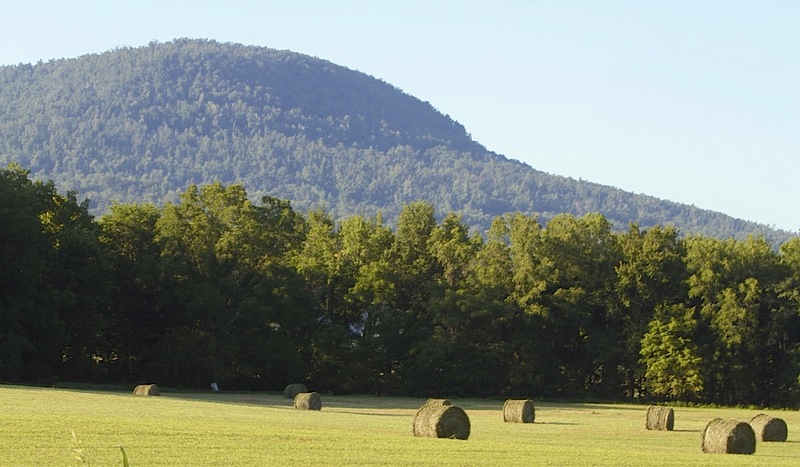 Parthenon valley green up and fresh hay bales. Rains finally came to the Little Buffalo valley after about 45 hot dry days (no rain); I think a record for this part of Arkansas. 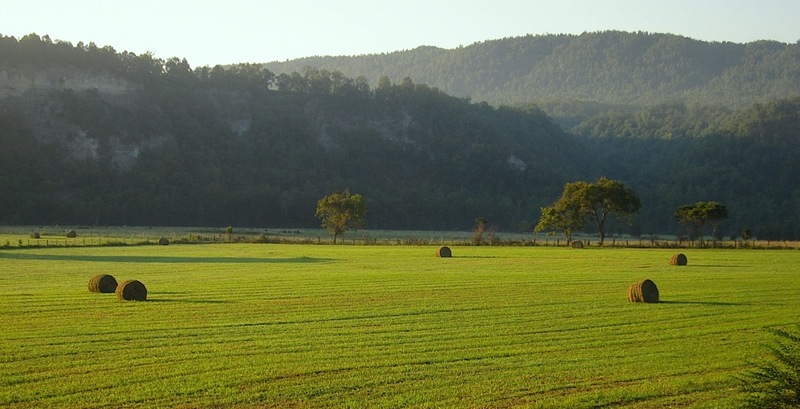 The grasses were parched and dry by August 8th, when finally we got much need rains. Maybe 4 inches fell over a period of a week and cooler weather has finally set in. In Murray Valley, the lows at night have been in the upper 50’s to around 60; with temperatures jumping back up to the upper 80s to about 90 during the day. With the cooler and wetter weather the hay did come back a bit and it appears a cutting occurred this past week.